Being a marketer today can be challenging. Keeping up with the latest trends on top of handling day-to-day tasks often feels overwhelming and nearly impossible. Yet, there is also so much to be grateful for. The rapid changes brought about by digital and demographics may feel jarring, but they’ve ushered in a host of exciting changes and opportunities. 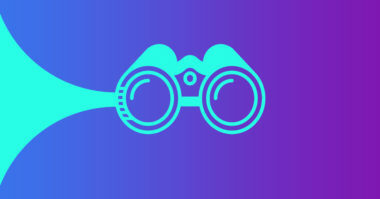 Marketers can now do things that were unimaginable just a few years ago. With new tools and approaches, it’s possible to engage audiences more deeply, and at a lower cost, than ever before. So, what are some of these transformative shifts that should be celebrated? 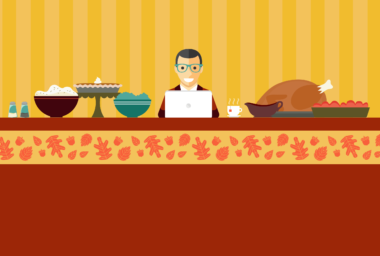 To find out, take a look at the overview below, as well as MDG Advertising’s new infographic, 5 Things Every Marketer Should Be Thankful for This Year. Not too long ago content marketing was about volume. Brands were encouraged to produce a torrent of short, keyword-heavy pieces as quickly as possible. Thankfully, that’s changing: quality is increasingly rewarded over quantity. This evolution can be seen most clearly in what search engines have come to value. All of this is driven by a simple fact: good content is valuable to consumers. The shift from quantity to quality is a win-win for everyone: consumers get better, more useful, content and marketers can concentrate resources on creating fewer, more-effective pieces. It’s hard to believe that the first iPhone was released barely over a decade ago. In that short amount of time, these powerful little devices have become nearly ubiquitous with consumers. Why is this popularity something marketers should be thankful for? Because the smartphone is a dream device for marketing to consumers. The rise of the smartphone has already sparked a host of new marketing channels/tactics, including geofenced campaigns, chatbots, branded apps, QR codes, and MMS engagement. And that’s just the beginning. As smartphones evolve and as marketers become more familiar with the technology in the future, even more powerful approaches are sure to emerge. While there are countless digital advertising platforms out there, there are two that now stand head and shoulders above the rest: Google and Facebook. The influence of these firms is so strong that the market has become in many ways a duopoly. This concentrated power has downsides, but there’s also a big upside: the fierce competition between Google and Facebook has led to the creation of powerful tools for advertisers. Over the past few years, the two companies have developed and enhanced a wide range of ad formats/capabilities that significantly help marketers reach consumers effectively. These are just a few of the many areas in which the two firms are battling. And this is just the start: as approaches like AI evolve and more ad dollars migrate online, the arms race is sure to ramp up. That’s great news for marketers looking to make the most of their spend. In many ways the outcome of a marketing effort is determined by the tools powering it. The more sophisticated the platforms used, the more likely it is that a campaign will be successful. Luckily for marketers, in recent years there has been a dramatic increase in the number—and quality—of marketing technologies available. This rapid expansion has led to brands quickly adopting more and more tools. In fact, most firms now utilize six or more different marketing-related software programs. What are markers using these tools for? A wide range of different tasks, including measurement, social media management, and email campaign management. What’s interesting is that many of the most powerful tools are still not utilized by the majority of marketers. For example, only 40% of marketers use automation platforms. In other words, MarTech is already improving marketers’ lives, but there is potential for these tools to help even more. In the past, one of the difficulties firms faced with purpose-driven marketing was that the spend was hard to justify. Supporting causes was often seen as being at odds with boosting revenue. That is changing quickly. Why? Because consumers—especially younger ones—expect brands to be socially responsible and forces for good. This belief is directly tied to consumers’ spend behavior. There is a wide range of areas in which consumers want companies to engage. What’s important to note is that consumers judge social responsibility not just by how a brand supports causes, but also how it behaves more broadly. Put simply: consumers increasingly expect brands to engage in causes, as well as treat their employees, customers, and community with respect. This is a huge opportunity for brands. It opens the door to making both the firm and society better through powerful storytelling and smart partnerships. Ultimately, it gives marketers a chance to both do good for their business and to do good for the world. To find out more, check out MDG’s full infographic, 5 Things Every Marketer Should Be Thankful for This Year.